The 21st Century is frequently referenced as the “Century of the City,” reflecting the unprecedented global migration into urban areas. The notion of a “smart” city is one that recognizes the use and influence of technology to harness a city’s potential as a center of opportunity, while addressing the challenges of providing equity across a heterogenous population. HPC is already playing a key role in helping cities pursue these objectives. Intelligent devices enabled with computing “at the edge” have the potential to: enable real-time optimization of energy consumption and generation, or simplify the flow of goods and services, or even help identify at-risk citizens. These same devices can perform real time analysis of changing weather or traffic patterns that can help urban infrastructures adapt autonomously to events such as severe storms or traffic congestion – saving money, time and most importantly lives. 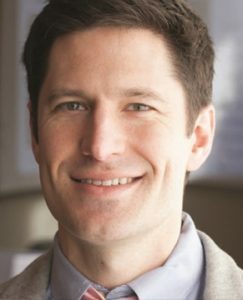 For the HPC community, there is an increasing opportunity—and need—to develop multi-scale, coupled modeling systems that harness these new data sources and measurement techniques and further – that capture the interdependencies between these sectors to provide a more holistic modeling capability for urban designers, planners, and developers. This plenary panel will discuss emerging needs and opportunities suggesting an increasing role for HPC in cities, with perspectives from city government, planning and design, and embedded urban HPC systems. Charlie Catlett is the founding director of the Urban Center for Computation and Data, UrbanCCD, which brings social, physical, and computational scientists together with artists, architects, technologists, and policy makers to explore science-based approaches to opportunities and challenges related to the understanding, design, and sustainable operation of cities. To this end UrbanCCD brings expertise, tools, and resources to bear from computational modeling, data analytics, and embedded systems. 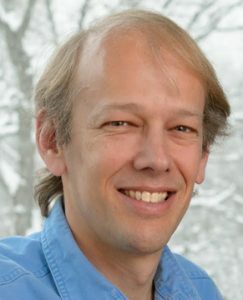 He is also a Senior Computer Scientist at Argonne National Laboratory and a Senior Fellow at the Computation Institute of the University of Chicago and Argonne National Laboratory. From 2007 to 2011 he was the Chief Information Officer at Argonne National Laboratory, and from 2004 to 2007 he was Director of the National Science Foundation’s TeraGrid initiative – a nationally distributed supercomputing facility involving fifteen universities and federal laboratories. From 1999 to 2004 Charlie directed the design and deployment of I-WIRE, a dedicated fiber optic network funded by the State of Illinois, which connects research institutions in the Chicago area and downstate Illinois to support advanced research and education. 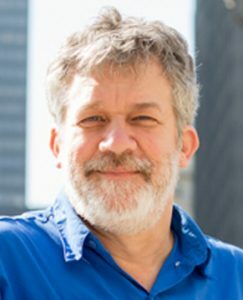 Before joining the University of Chicago and Argonne in 2000, Charlie was Chief Technology Officer at the National Center for Supercomputing Applications at the University of Illinois at Urbana-Champaign. Beginning at NCSA’s founding in 1985 he participated in the development of NSFNET, one of several early national networks that evolved into what we now experience as the Internet. During the exponential growth of the web following the release of NCSA’s Mosaic web browser, his team developed and supported NCSA’s scalable web server infrastructure. Recognized in 2014 as one of Chicago’s “Tech 50” technology leaders by Crain’s Chicago Business, Charlie is a Computer Engineering graduate of the University of Illinois at Urbana-Champaign. Pete Beckman is the co-director of the Northwestern-Argonne Institute for Science and Engineering. From 2008-2010 he was the director of the Argonne Leadership Computing Facility, where he led the Argonne team working with IBM on the design of Mira, a 10 petaflop Blue Gene/Q. Pete joined Argonne in 2002. He served as chief architect for the TeraGrid, where he led the design and deployment team that created the world’s most powerful Grid computing system for linking production HPC computing centers for the National Science Foundation. After the TeraGrid became fully operational, Pete started a research team focusing on petascale high-performance system software, wireless sensors, and operating systems. Pete also coordinates the collaborative research activities in extreme-scale computing between the US Department of Energy and Japan’s ministry of education, science, and technology. Pete leads the Argo project for extreme-scale operating systems and run-time software. He is the founder and leader of the Waggle project to build intelligent attentive sensors. The Waggle technology and software framework is being used by the Chicago Array of Things project to deploy 500 sensors on the streets of Chicago beginning in 2016. Pete also has experience in industry. After working at Los Alamos National Laboratory on extreme-scale software for several years, he founded a Turbolinux-sponsored research laboratory in 2000 that developed the world’s first dynamic provisioning system for cloud computing and HPC clusters. The following year, Pete became vice president of Turbolinux’s worldwide engineering efforts, managing development offices in the US, Japan, China, Korea, and Slovenia. Dr Beckman has a Ph.D. in computer science from Indiana University (1993) and a BA in Computer Science, Physics, and Math from Anderson University (1985). 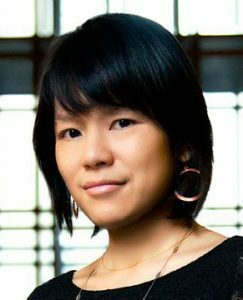 Debra Lam is the Managing Director of Smart Cities and Inclusive innovation for Georgia Tech, a newly created role to drive smart cities and urban innovation work across the university and beyond. Prior to this, she served as Pittsburgh’s first ever Chief of Innovation & Performance where she oversaw all technology, sustainability, performance and innovation functions of city government. She crafted the city’s first strategic plan for innovation, Inclusive Innovation Roadmap. She has been a receipt of various awards, including one of the top 50 Women in Technology nationally. She has worked and lived in New York, the United Kingdom, China, Taiwan, and Hong Kong. She is a graduate of Georgetown University and University of California, Berkeley. Michael Mattmiller was confirmed as Chief Technology Officer for the City of Seattle in June 2014. In this role, Michael champions efforts to connect people with their government, increase the productivity of the City workforce through technology, and increase digital equity across the city. an organization that encourages city-university collaborations to solve challenges facing urban areas. Prior to his role at the City, Michael served as a senior strategist at Microsoft and as a consultant to the federal government at PricewaterhouseCoopers. Michael received a B.B.A. and M.S. in Information Systems Development at The George Washington University. He resides in Seattle, Washington.